Last major update issued on January 1, 2004 at 05:10 UTC. The geomagnetic field was quiet to minor storm on December 31. Solar wind speed ranged between 410 and 565 km/sec under the influence of a high speed stream from coronal hole CH73. Solar flux measured at 20h UTC on 2.8 GHz was 105.6. The planetary A index was 17 (STAR Ap - based on the mean of three hour interval ap indices: 17.3). Three hour interval K indices: 32234543 (planetary), 32233533 (Boulder). At midnight there was 1 spotted region on the visible disk. Solar flare activity was moderate. A total of 4 C and 1 M class events were recorded during the day. A very active region is about to rotate into view at the southeast limb. This region is likely to be complex and could produce multiple M class events. The following events were recorded on December 31: C2.3 at 17:33, C2.2 at 18:08, C1.0 at 20:19 and a long duration C8.3 event peaking at 22:17 UTC. The LDE was associated with a CME off of the central east limb. Region 10528 behind the west limb produced a very impulsive M1.0 flare at 18:24 UTC - the total duration of the flare was only 5 minutes. New region 10534 emerged in the southeast quadrant. C class flares are possible. 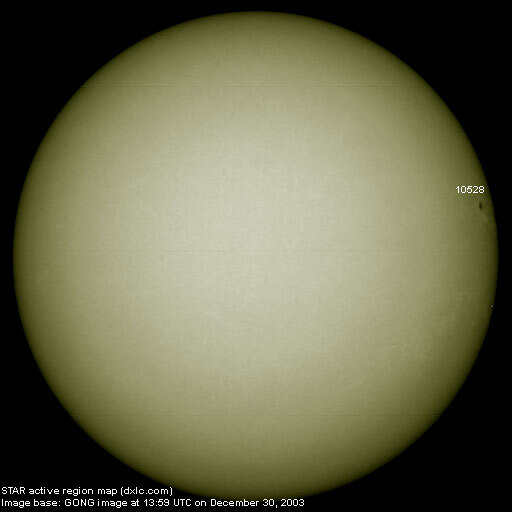 December 29-31: No partly or fully earth directed CMEs observed. Only a few new LASCO images were published on December 29 and 31, with no new images on December 30. A recurrent trans equatorial coronal hole (CH73) was in a geoeffective position on December 28-29. 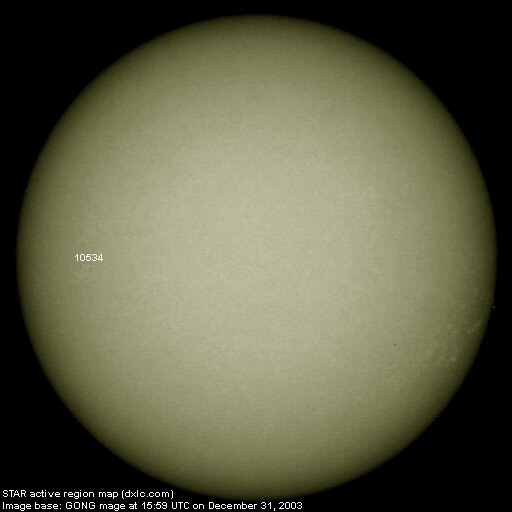 A large, recurrent trans equatorial coronal hole (CH74) will probably be in a geoeffective position January 1-7. 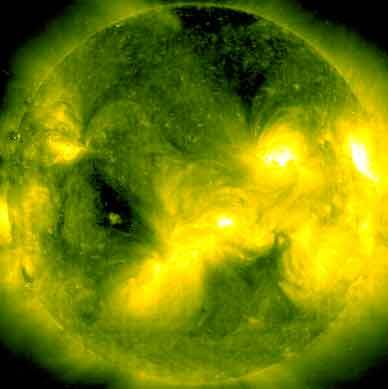 The geomagnetic field is expected to be unsettled to minor storm on January 1 under the influence of a high speed stream from coronal hole CH73. Quiet to unsettled is likely on January 2-3 with unsettled to minor storm expected from January 4 as a high speed stream from coronal hole CH74 dominates the solar wind. Long distance low frequency (below 2 MHz) propagation along east-west paths over high and upper middle latitudes is poor to very poor. Propagation along long distance north-south paths is good. [Trans Atlantic propagation conditions are currently monitored every night on 1470 kHz. Dominant station tonight: None, a large number of stations from Brazil was noted on this and other frequencies, many with good signals. Rádio Nacional in Brasilia on 980 kHz had an S90+20dB signal].